It's that time of year when more of you glam girls top-off your unique doo's with hats and scarves – in-tune with the winter fashion trends. You know what that means! A lot of dryness and flatness on top. So you need to turn-up the volume and apply the best products to hold your hair style together, longer. Keeping healthy hair starts with the best products! It's important that you remember that your hair is directly related to the health of your scalp, it's so important to use the best products that won't destroy your hair's natural oils that are needed for your hair to remain radiant, healthy and shiny. 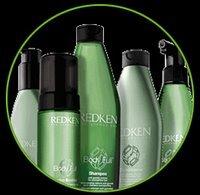 Troy Richard Salon is a REDKEN Certified Salon. This means your hair always receives the best products known around the world. Itchiness and irritation are common during the winter and notorious for dryness. So, wash your hair a little less often and choose a sensitive scalp shampoo - which is normally creamier. Also try to avoid those products that are formulas for dandruff-prone scalps. Remember dandruff is caused by an oily-scalp, rather than a dry—scalp. Powerful dandruff-fighting formulas with pyrithione zinc, a highly effective anti-dandruff ingredient, help reduce flaking, irritation and itching. Leaves scalp hydrated, clarified and relieved and hair shiny, light and airy. Prevent frizz that your winter hat can cause, and keep your soft and silky hair by using a leave-in conditioner or day cream. If your hair is already flattened, add body and bounce by misting a brush with a hairspray that has a light-hold, then gently comb through your hair. Smoothness for very dry, unruly hair. Hair is up to four times smoother*. Get ultra-smooth, shiny hair that's in control. 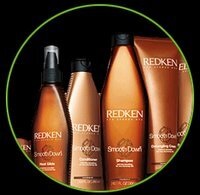 New Smooth Down is specially formulated to enrich and tame extremely dry, coarse, unruly hair. 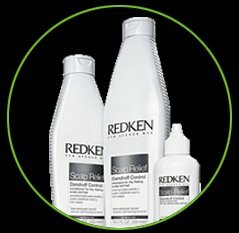 Redken's exclusive Interbond Conditioning System delivers a unique Ionic Smoothing Complex of macadamia oil, candelilla wax and cationic refiners to help replenish oils, provide intense smoothing and a long-lasting, humidity-resistant, frizz-free finish. Have fun at home, pour on your deep conditioner at least once a week. Then seal in the moisture for the whole day with your leave-in conditioner. Lightweight moisture for normal to dry hair. Infuse normal to dry hair with weightless moisture. 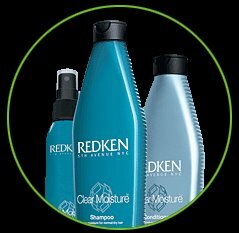 Redken's exclusive Interbond Conditioning System, combined with a unique, ultra-light Micro-Moisture Complex, helps restore, rebalance and retain optimum moisture without adding weight. Hair is replenished, light and shiny. Coloring your hair can sometimes make it weaker and can cause a little breakage, that's why it's very important that you deep-condition your hair, and lock in the moisture. Protection for color treated hair. Extend the life of color-treated hair by fighting the four causes of color change. New advanced Color Extend offers maximum color security. Environmental aggressors, poor cuticle condition, color-altering minerals and water can attack haircolor, causing it to fade and dull. 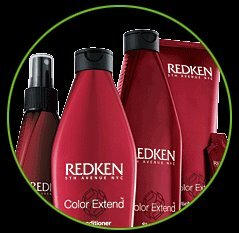 Through Redken's exclusive Interbond Conditioning System and a powerful 360 degree Protective Complex, Color Extend helps shield, stabilize and secure color intensity. It's full spectrum protection that keeps color-treated hair smooth, manageable and radiant. If you're heat-styling your hair pretty often, make sure you're protect your hair with a gel or salve; this will ensure that any heat burns away the product, and not your expensive hair color. Take careful thought to the brand of your shampoo and conditioner; if you're not sure what to do, call your stylist and ask what's the best shampoo and conditioner for your your hair type and color to prevent fading and brassiness. Volume for normal to fine hair. Boost volume and defy gravity with Body Full, the first style-infused haircare* collection. 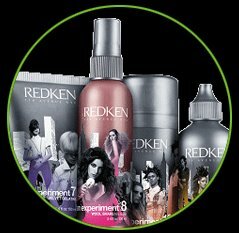 Redken's exclusive Interbond Conditioning System delivers styling polymers that combine with carbohydrates and protein to form the new Anti-Gravity Complex. This unique technology provides normal/fine hair with bodifying strength and density plus style retention. Hair is full of volume, long-lasting style and shine. and always love your look. About the author: Troy Richard Salon is your premier, upscale, full-service salon with the perfect team of Hair Designers, Stylist, Color Specialist, Brazilian Blowout, Great Lengths Extension Specialist, Nail Techs, Airbrush Tanning, and everything you need to love your look. Troy Richard Salon (214) 618-8071 is located at 1279 Legacy Drive, Suite 120, Frisco, Texas 75034 in Stonebriar Commons. Troy Richard Salon; the difference between everyday looks, and one that's extraordinary.